Grew Up… in small-town America in the 1940s. His hometown was a suburban idyll: white picket fences, beautiful homes, and an old abandoned house that made a perfect clubhouse. As a child, though, he longed for adventure beyond the confines of his small town. He longed to see the world, especially Paradise Falls – a “land lost in time” – just like his explorer hero, Charles Muntz. Living… in the clubhouse from his childhood, since converted to a proper home. That’s where he lived for decades with his beloved wife Ellie, a fellow Muntz fan whom he met as a young man. In fact, it was originally Ellie’s clubhouse. Back then, they pledged to visit Paradise Falls together, but life always got in the way. But now Ellie is gone and Carl lives alone, trying (but failing) to remain unperturbed by the growing urban sprawl around him. Profession… retired. He was formerly a balloon salesman. But these days, Carl is a professional “neighborhood grump” – slamming his door on children and getting in arguments with construction workers. The latter mishap resulted in a court order to move to a retirement home. Carl has no intention, however, to go quietly. Interests… peace, quiet, and routine. Carl used to plan adventures, but now he mostly enjoys stability and independence. But he might have one more grand adventure in him yet. Relationship Status… widowed by his wife, Ellie. He still talks to Ellie and feels her presence all around him in the home they fixed up together and lived in for so long. That’s why Carl ties thousands of balloons to their beloved home, in order to fly it to Paradise Falls. He’s determined to make good on his promise to Ellie to visit their dream destination. Personality… gruff and stubborn, but ultimately loving. Carl feels nostalgic for the past, at the expense of feeling much hope for the future. It’s not that he’s callous, though; it’s just that he loved Ellie so deeply that moving on feels a bit like betrayal. But this trip to Paradise Falls is the first crazy thing he’s done in decades, and it might be exactly what he needs. Maybe he’ll even figure out what happened to Charles Muntz. Carl Fredricksen's popularity ranking on CharacTour is #81 out of 5,000+ characters. See our top-ranked characters and read their profiles. 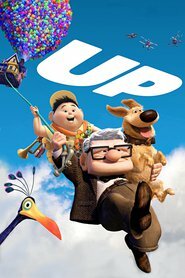 After a lifetime of dreaming of traveling the world, 78-year-old homebody Carl flies away on an unbelievable adventure with Russell, an 8-year-old Wilderness Explorer, unexpectedly in tow. Together, the unlikely pair embarks on a thrilling odyssey full of jungle beasts and rough terrain.